from 8-10 pm on Jan 5th and 12th and Feb 2nd and 9th. Due to the predicted storm, CCAS is cancelling Thursday’s dinner and lecture. See you in February! Asteroid 3122 Florence is passing near us and has been in the news lately. 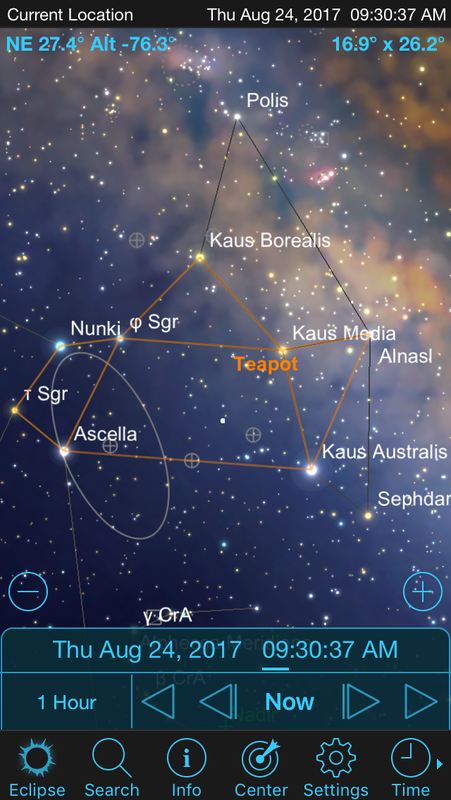 Sky and Telescope treats this event well with sky maps and information. Bernie was kind enough to generate the ephemeris 2017 02 FLORENCE. I will be going to the observatory tonight, Friday, Sep 1, 2017 at 7:30 pm to record some video of the asteroid. Hope to see you there. I saw an article in Sky and Telescope a couple of years ago describing telescope loans from libraries. Our own Peter Kurtz is instrumental in pioneering this effort in Orleans, MA, which you can see in this article. Way to go Peter! If you have any questions about this program, please contact us and Peter will be happy to answer your questions. 10 pm EDT with a Canon Power Shot 8 megapixel camera. The exposures were 10 seconds long and taken at ISO 400. A tripod was used and a two second exposure delay was set after shutter release to eliminate camera motion. The focus was fixed at infinity and flash was suppressed. Ten seconds is about as long an exposure that is possible with a fixed camera before rotation causes the star images to streak. ISO settings above 400 introduce a lot of noise. Stacking was done with Nebulosity 4 using the command sequence: Open File-Batch-Align and Combine Images-Translation, Rotation and Scale. 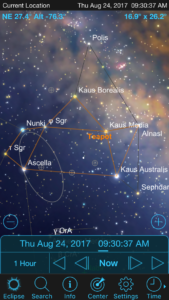 Images were translated so epsilon Sagittarius in the lower right were aligned, and rotated and scaled so sigma Sagittarius matched.  In stacking images at low altitude it is best to choose two alignment stars near stars you are interested in rather than stars near the corners of the image. Saving as a FITS file was cancelled in favor of saving as a JPEG file. The Display Auto box was unchecked and a Black level of 25000 and a White level of 26000 set to eliminate remaining noise and brighten the intensity of the stars. The images were then cropped using Paint to show only the Teapot. The Cape Cod Astronomical Society welcomes the public to a “Local Star” party on Aug 21, 2017 from 1:00 – 4:00 PM EDT (Rain or Shine). We expect to see about 63% of the sun eclipsed by the moon on Aug 21, 2017 with first contact estimated at 1:28 PM EDT according to https://www.timeanddate.com/eclipse/in/usa/boston. Our program will include first and most importantly a Safety Brief discussing eye safety while viewing the sun. A Safety Officer will be helping the guests. Children must be supervised at all times. The Staff will offer mini-lectures on eclipses and the Sun lasting about 30 minutes and beginning at 2 PM and 3 PM. Viewing with Solar telescopes and telescopes with Solar Filters will allow guests to see the eclipse, sunspots, prominences and other solar activity throughout the event. Guests who are interested in a tour of the Werner Schmidt Observatory will be given a brief history of the Cape Cod Astronomical Society, observatory construction, equipment, capabilities/programs such as, Student Projects, Occultations, Photometry, and Astrophotography. Finally, if you would like to be involved, volunteer for this event, future staffing positions or to learn more, please look at our website volunteer page! http://www.capecodastronomy.org/werner-schmidt-observatory/volunteerstaff/. Parking is around the back of the high school and you approach the observatory from the northernmost driveway from Station Ave. There will be signs to help point the way. During our last Cape Cod Astronomical Society meeting, Paul Fucile gave an overview of the Stellafane meeting, and hoped that some CCAS members would join in the fun. Paul will be presenting the teen robotics event at Stellafane again this year. The dates are July 20-23, 2017. Phys.org article presents that nearly all stars are born as binaries. How fun to consider our parent star has a fraternal twin! The Werner Schmidt Observatory showcases several binaries during star parties. Albireo in the constellation Cygnus displays a contrasting color binary system.  Polaris, our North Star, is a multiple star system. Alcor – Mizar systems are both binaries and possibly also binary to one another.